Getting backlinks for an eCommerce store can seem like the ultimate challenge. In fact, this is the case for the majority of online stores. So, how do you do it? This can be especially hard if you don’t have a blog on your site. In this post, we’ll tell you about some of the best link-building strategies that work incredibly well for eCommerce stores. 90% of businesses fail. And what do you think usually happens with the links to their websites? Other websites still link to them because they have no way of knowing that these websites are no longer updated or relevant. The pages are still working, and broken link checkers can’t find them. With the Moving Man method, you can use this phenomenon to your advantage in order to find dead websites, as well as the people that link to them. Then, you just ask these people to link back to your website instead. This link-building strategy was created and popularized by Brian Dean, the founder of Backlinko. It turned out to work incredibly well for eCommerce websites. The founder of JustBuyIt used it to outrank websites like Amazon, eBay and Best Buy, and this is no joke! Search for news about business closings, rebrands or mergers. So, let’s say you’re selling shoes. 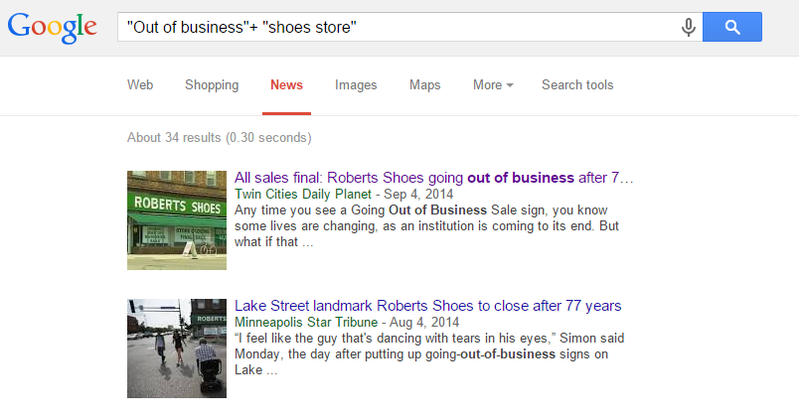 In this case, you would just type “Out of business” + “shoes store”. Bingo! 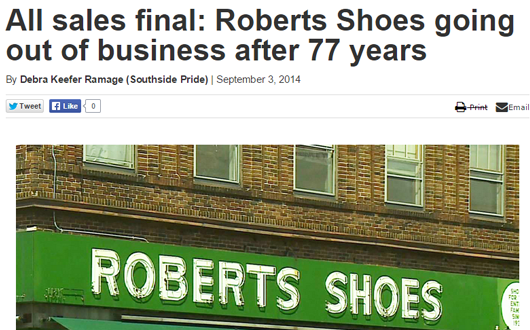 It looks like Roberts Shoes went out of business after 77 successful years. When authority domains expire, they are usually picked up by big domain name auction sites like GoDaddy auctions, NameJet or Flippa domain search. These websites know that people will be ready to pay really good money for good expired domains, so they do an incredibly good job of finding outdated resources. Your best option is to go to Expired Domains.net, where you’d be able to see expired domains from several different places. Also, you’ll have important statistics like PageRank, DMOZ listing and the number of referring domains. Now, let’s say that you’re selling shoes. Look for websites with high PR (Page Rank) and DP (Domain Popularity) scores. This will show you the websites with the most backlinks from different domains that used to rank well. Websites such as wherearemyshoes.com and JordanShoes-Mall.com have a PR of 4 and numerous backlinks. That’s what you’re looking for. To find a closed store, just go to Google and type site:yelp.com + closed [city] [business type]. If you’re selling shoes, just search for site:yelp.com closed san francisco shoes store. As you can see, the only results presented are for closed stores. When you visit the Ecco store page, you can clearly see that it’s out of business, as well as a link to its website. Simply go to Google and type “This page is parked FREE, courtesy of GoDaddy.com” + “domain is for sale”. You can perform niche-specific searches by typing “domain is for sale” + inurl:keyword. When you find an outdated resource, it’s time to find out who actually links to that website. To do that, you can use link analysis tools like Open Site explorer, MajesticSEO or Ahrefs. In this case, we’re going to use Ahrefs and the website that previously belonged to Ecco, a shoe retailer that web bankrupt. Type their URL in the Site Explorer box. Now you’ll see how many backlinks and referring domains they have. Not bad! Click on Backlinks and you’ll see all the pages pointing to that domain. The last step is to simply reach out to people and let them know that the website they’re linking to is no longer relevant (out of business, rebranded, etc.). You can use a pitch similar to the one Chris Laursen used for JustBuyIt (he outranked Amazon, remember?). Just let them know about the broken link and pitch your replacement resource from your website. As a result, a lot of people actually decide to update their website. This is one of the simplest link-building techniques out there. Just find out which websites are already mentioning your brand and the products you sell, and then ask them to link back to your site. Step 1: Find a website with an unlinked mention of your brand – to do that, simply use Mention.com. Just log in and type the name of your company. Then, click “Next” and select only “News,” “Blogs” and “Web.” Mentions on Facebook, Twitter and Forums are great, but they don’t give you any search engine juice. Also, select English as your main language. In this case, we can instantly see 85 mentions of the brand. Step 2: Determine if the mention is a good fit – not all mentions will be a great link-building opportunity. First, you need to ensure that people are actually mentioning your brand or a product you sell. When people mention JustBuyIt, they might be referring to the online store or it might just be a simple call to action. Second, you need to be sure that the mention is unlinked. The good thing about mention.net is that you can preview the websites straight from the platform and easily see that whether the mention is linked or not. I found your blog post about [Topic] today on [place]. Great stuff! I just wanted to reach out and say “thanks” for mentioning [Your brand or product you sell] in the post. Thanks in advance and have a nice week! One of the most popular ways to build links for your eCommerce store is to simply reach out to bloggers and let them review your products. Build relevant links to your site only on websites that write about similar topics. 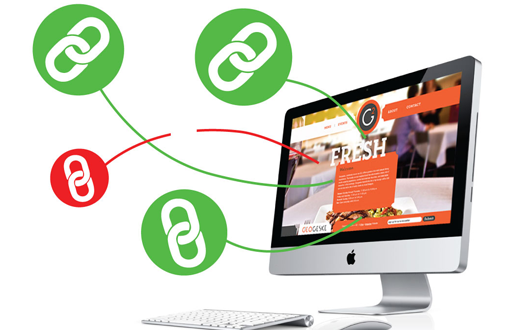 Get links from high-quality sites only. Bad links do more harm than good. Pitch only relevant products to bloggers. Otherwise, you’ll generate negative responses. The big questions is – how do you find the right blogs for you? Simply identify which blogs have already written about products you’re selling. Let’s say that you’re offering the new Canon EOS 7D Mark II Digital SLR Camera. In this case, you know that every blog that has reviewed previous models will be interested. Go to Ahrefs and click on the Content Explorer. Type “Canon 7D” and hit search. In the results, you’ll see a list of all the websites that have mentioned the product. Pick websites with a high RD (Referring Domains) score. Step 2: Find a way to contact the blogger – many websites openly share the post author’s contact info. Simply click on his/her name and go to the author page. Then you’ll clearly see his contact details – emails and social media accounts. If the author’s email is not listed, you can try to finding him/her on LinkedIn. Step 3: Pitch your product – the last step is simple, but really important. You need to correctly pitch your product in order to maximize your chances of getting reviews. Take some time to review previous posts by all the authors you’re about to contact. Pay attention to what interests them and what they’re passionate about. Once you have done that, you can send them an email. You can use something like the following template. My name is [your name] and I am a [your info] who also sells [your product]. I’m a fan of your blog on [topic of the blog], and especially enjoyed a recent post on [name of the blog post]. I just wanted to let you know that we’ve recently opened an online store to sell [your product]. Our products are special for the following reasons: [list two or three reasons why they’re special]. I’ve sent a sample of [your product] to the address listed on your contact page. If you love it as much as I do, perhaps you’ll consider sharing with your audience? Please let me know if you’re interested in learning anything at all about what I’m selling. My direct number is: [your number]. This approach is very similar to pitching your products for reviews. The only difference is that, instead of having the blogger write an article, you do that part yourself. When you decide to guest post, don’t just aim to get backlinks. Instead, focus on delivering great value to the blog’s audience. Step 1: Find blogs to write on – use the same method mentioned in Get product reviews from bloggers to identify blogs. Pick ones that have written about the products you sell and are interested in your niche. Step 2: Identify which topics you should cover – review previous posts on the blog you’d like to pitch. Identify which topics get the most social network shares and comments. On some websites, you can clearly see those numbers next to the social media icons. 7.2k shares on Facebook and 175 on Twitter. Not bad! You can also enter one of your keywords into Buzzsumo to identify which topics tend to perform best. Obviously, posts about Canon SX400 and Canon EOS 1100D performed really well. To learn more about how to identify the right topics for your guest posts, read the guide by Groove on the topic. Always try to pitch via email. Tell them why you like their blog and point to specific posts you read and liked. 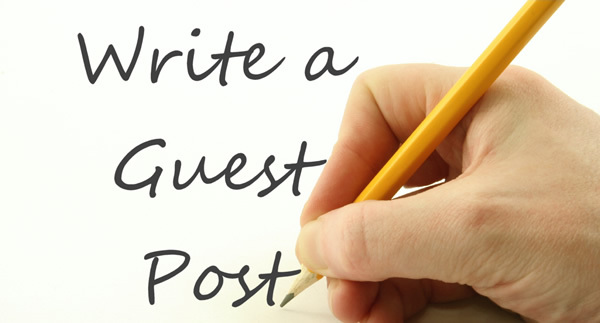 State that you want to guest post and offer them a few topic ideas. Provide links to other posts you have written. This one is pretty easy most of the time – the manufacturer wants people to be able to find you because this means higher revenue for him, as well. Step 1: Identify which manufacturers list their retailers on the site – simply browse through their websites and search for a supplier’s page or “where to buy” page. You can clearly see this on Canon USA‘s homepage. Step 2: Ask them to list you – this is pretty simple. Most of the time, they understand that you are providing them with a mutual benefit. If more customers come to buy from you, the manufacturer will generate more revenue, as well. I just saw that you have a “Where to buy” page on your main website. Unfortunately, I couldn’t find our website listed there. Can you add it, as well? I’m sure that people who live in [your area] will be glad to know they can easily buy [their product] from [your store]. I’m sure this will be beneficial for both of us. Step 3: Pitch manufacturers who don’t have a listing page for retailers – some manufacturers might not have a “where to buy” page. In this case, you can simply pitch them the idea and the benefits of having one. I just saw that you don’t have a “Where to buy” page on your main website. There are many people that might want buy your products, but aren’t able to find which stores actually sell them. I’m sure you’ll benefit a lot if you add a “where to buy” page on your site listing all the retailers who sell your products. This is likely to increase your revenue. 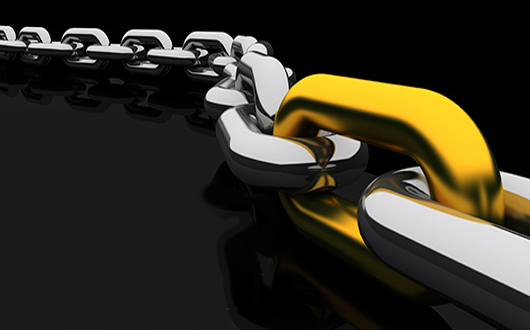 Earning backlinks for your eCommerce business might be a challenge, but it’s not impossible. If you follow the strategies listed in this post, you’re likely to see a huge increase the quality and quantity of the links that you generate. Which of the strategies listed in the post are you likely to try for your site? Let us know in the comments below.